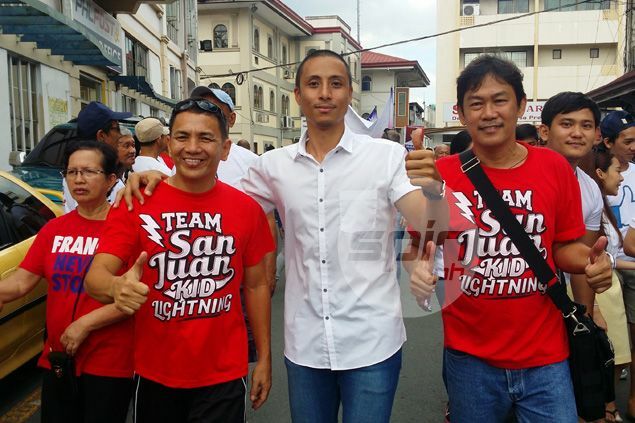 PAUL Artadi has decided to call it a career at age 34 while making the shift to politics, announcing on Tuesday that he is vying for a city council seat in San Juan in the coming national elections. A former Purefoods second-round draft pick who had a 12-year career in the PBA, Artadi said the decision gives him an opportunity to serve his townmates while leaving a spot open for pro league hopefuls. "Alam mo ako, I would rather give way para sa mga bagong players. May point ako na parang pag di mo na kayang lumaro, wag mo nang pilitin, give chance naman to others," said Artadi. "Pero dapat nakapag-ipon ka rin bago ka lumayo sa career mo," he said. A backcourt partner of Star top gun James Yap from their days at University of the East to Purefoods, the wiry guard said entering politics has crossed his mind as early as 2010, after he won his last career PBA title with Purefoods. "Noong 2010 ko pa talaga gusto tumakbo. 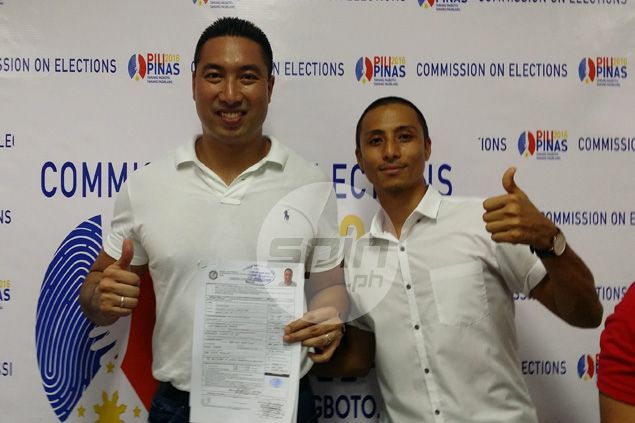 Kaso that time, hindi ako nabigyan ng slot sa ticket ni (then San Juan mayor JV Ejercito), kaya pinostpone ko," said Artadi, who is also the owner of the popular Pimp Kicks online shoe shop. "Tapos ngayon nga, si (vice mayor) Francis (Zamora) na ang tatakbong mayor, inaya niya ko, umoo agad ako. "Nagkataon naman na expire na ang contract ko sa PBA last August. Hindi ko na pinilit na kumuha ulit ng contract. Sabi ko, hayaan ko na sa mga bata, ang dami nilang pumasok sa draft eh," he added. Artadi bared that basketball has been his first love while growing up in the streets of Balong Bato in San Juan. He developed a deep love for public service when he became a fixture in the PBA's outreach programs. "So nagdasal ako at humingi ako ng sign, so ayun nga pinasok ko ang pulitika." But Artadi said he will never turn his back on the PBA, saying he will always hold dear his links to the league and the teams he played for including Ginebra, where he was a member of its last champion team in 2008. Artadi, in fact, feels Ginebra is due for a championship under two-time grand slam coach Tim Cone, drawing a lot of parallels between the current team and the successful Ginebra squad of 2008. "Yun naman ang recipe ng championship eh, kahit nung time namin nuong 2008. Nung mag-champion kami ang daming role players ang nagbigay ng magandang contributions," Artadi recalled while rattling off the names of former teammates Chris Pacana, Junthy Valenzuela, Rafi Reavis, Willy Wilson and Ronald Tubid. "Syempre, alam mo na yung role ng Mark Caguioa, Jayjay Heltebrand at Eric Menk sa Ginebra nun. Pero yung mga role players, kami, binigay namin ang kailangang support. Tingin ko yun ang direksyon ng Ginebra ngayon," he said.